The Caravan Guard Mouse is a breed of mouse found in the Fiery Warpath location during Wave One until there are only 10 mice left to defeat, Wave Two until there are 18 mice left, and Wave Three until there are 26 mice left. Caravan Guard mice are not known to drop any loot. A minimum of one hunting party member is adequate in helping to prevent reinforcements from arriving. No matter how many members a hunter has in their hunting party, it is not a 100% guarantee that reinforcements will be prevented. Required Power Types: Physical, Tactical, Hydro Other Requirements: ?? Caravan Guard mice have no specific preference for any kind of cheese. In fact, they are known to have an aversion to SUPER|brie+ cheese, and are known to avoid traps baited with them. None of the weapon types are very effective or effective against Caravan Guard mice. Physical, Hydro, and Tactical traps are less effective, and the rest are ineffective. Since failure to catch a Caravan Guard mouse carries a risk of increasing the number of mice remaining to be defeated, hunters wishing to avoid this risk are advised to use SUPER|brie+ cheese, to minimize the possibility of encountering this mouse. 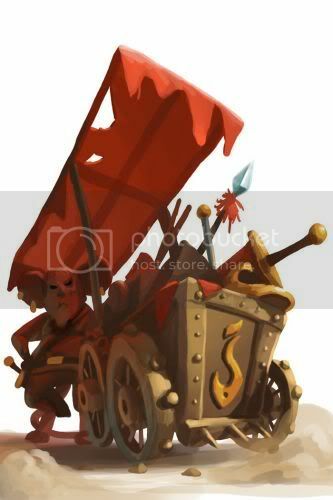 Additionally, fewer Caravan Guards are attracted when any Warpath charm is armed (Warpath Archer, Warpath Soldier, Warpath Scout, Warpath Cavalry, Warpath Mage, or the super variants of these charms). In particular, arming a Warpath Mage Charm or Warpath Cavalry Charm in Wave 1 can be an effective way to adjust the population without having any charms consumed. Caravan Guard Mice were introduced on 22 March 2011 with the release of the Sandtail Desert region. This page was last edited on 5 September 2017, at 20:43.